This stunning range is the answer for all those smaller living spaces. 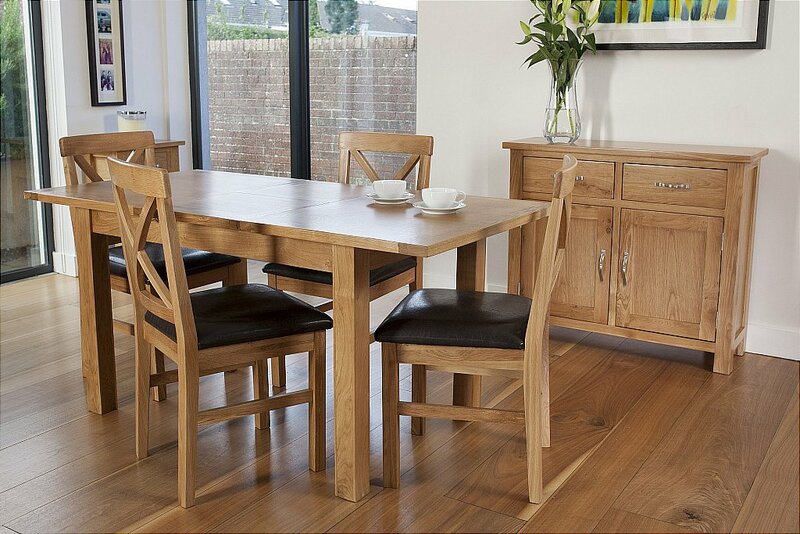 It has been designed to offer practical quality oak furniture at scaled down sizes to fit in with the trends of today. Small dining tables are extending to offer additional space with a choice of sideboards and bookcases that sit neatly against a wall and do not protrude too far into the room this range is a must. your scheme off there are a host of occasional pieces all finished with delicate brushed silver handles making this range a fabulous addition to your home. I would like more information about Saint Remy Dining by Sturtons.